We all know saving money for retirement is important, yet almost two thirds of Americans don’t have any kind of individual retirement account (IRA) to rely on once their working years are over. If you’re one of them, now is a great time to set up an IRA, no matter your age. The IRS has raised the contribution limit for tax year 2019 to $6,000 (up from $5,500 in 2018), and for people over 50 the contribution limit has been raised to $7,000 (up from $6,500 in 2018, with the “catch-up” contribution staying fixed at $1,000). An extra $500 a year might not seem like much, but can add up big-time over the course of your career. You’ll wind up with roughly $80,000 more in your IRA account over 40 years if you invest $6,000 a year instead of $5,500, assuming an initial contribution of $1,000 and a conservative 6% annual investment return. Having an IRA is a good idea for everyone because it functions as a tax-advantaged savings account, and it offers a way to consolidate your 401(k)s when leaving a job, by rolling them over into your IRA. People who are self-employed have the option of opening a Simplified Employee Pension (SEP) IRAs. 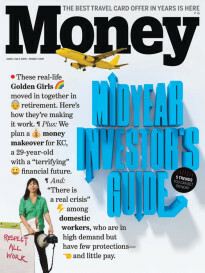 In some cases, an IRA may be the only retirement savings vehicle accessible to workers. Some 35% of private sector employees don’t have access to a defined contribution plan like a 401(k) through their employer, according to Pew Research Charitable Trusts. If you are currently in a lower tax bracket than you think you will be during retirement, Roth IRAs can be a great investment vehicle for saving during your peak earnings years because they help lessen your tax burden in retirement (money is taxed on the way into a Roth, not on the way out, and contribution limits are the same as with a traditional IRA). Plus, there are a lot of good options for opening a Roth IRA that offer $0 account minimums and low fees. A 2018 study conducted by the Center for Financial Services Innovation found that only about 28% of Americans are living truly “financially healthy” lives, and retirement planning is an area where we are lacking: In total, only 31% of study participants had an IRA account. When you look at the percent of Americans who have IRAs by their financial health, the numbers are troubling. 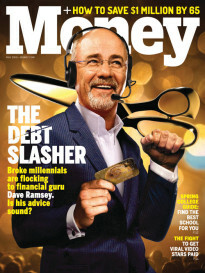 The study groups Americans into three overall buckets based on responses to questions about spending, saving, debt and planning ahead: those who are “financially healthy” — managing their money in a way that allows them to be “resilient and pursue opportunities over time” (28%), “financially coping” — struggling with some, but not necessarily all, aspects of their financial lives (55%), and “financially vulnerable” —struggling with all, or nearly all, aspects of their financial lives (17%). Notably, financial health doesn’t necessarily correlate to income. The study found that 50% people with a household income of at least $100,000 are either financially coping or vulnerable, while 15% of people with a household income less than $60,000 were considered financially healthy. Still, financially healthy Americans are more than twice (59%) as likely to have an IRA as those who are merely financially coping (25%); meanwhile, the financially vulnerable were much less likely, at 5%, to have an individual retirement account. You can open an IRA account online at a brokerage firm web site in about 15 minutes.